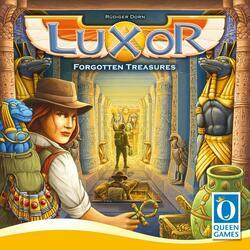 You are at the head of a group of adventurers looking for priceless treasures in the legendary Luxor Temple. But you are not the only ones and it will be necessary to be quick to be the first to penetrate the tomb of the Pharaoh. Find the keys that will help you advance to the center of the pyramid, collect treasures on the way, engage other adventurers to help you on your quest, and enter the legend of Luxor. Luxor was funded on the Crowdfunding Kickstarter (See the campaign) platform on the 05 March 2018, the campaign lasted 12 days. 459 people helped funded the game, whose the amount requested was €10,000.00. Thanks to these 459 people the game could be funded up to €34,770.00, ~347.70%.